What’s the most effective way to alleviate poverty? What is the most effective strategy to alleviate poverty? My guest today would answer that very simply: Create Jobs. He would go on to say, creating dignified and sustainable work, is the most effective way to alleviate poverty over the long haul and actually serves as the foundation that brings about transformative change in people and communities. My guest today is Atul Tandon. He is the CEO of Opportunity International. Opportunity International is a Nonprofit Organization that has been around for 50 years. They support over 10 million from across the world with microenterprise loans, technology and other resources that help them break the cycle of poverty and become prominent business leaders. Opportunity International is active in 22 countries across Africa, Asia, Latin America and Europe. 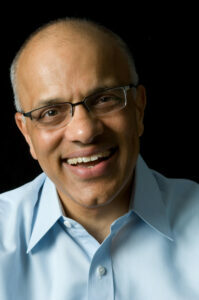 Atul Tandon brings 35-plus years of experience that spans both the For-Profit and the Non-Profit sector. I know you are going to really benefit from hearing Atul share his unique perspective on how to alleviate poverty in some of the world’s most difficult places. Is self-leadership the most important type of leadership? Whatever happened to the Muscular Dystrophy Association after Jerry Lewis? How do we increase our impact for social change as Nonprofit organizations? What kind of impact is the “Age of Automation” that we are living in, having on our Nonprofits? What does successful leadership look like? How Do You Deal With Succession? What is the future of education? Copyright 2018 - Nonprofit Leadership Podcast - All Rights Reserved.